You might be confident enough to assume that you will not forget certain things, but admit it or not, you do forget about things most of the time. The human memory is fallible, this means it is capable of making mistakes. In order to counter this, you should take down notes and make checklists that will help you remember and stay on track. A checklist is a tool that can effectively help in reducing failure by ensuring consistency and completeness in carrying out a task. A checklist contains an organized rundown of the things you need to remember to complete a task or activity. It helps you remember while helping your stay track. 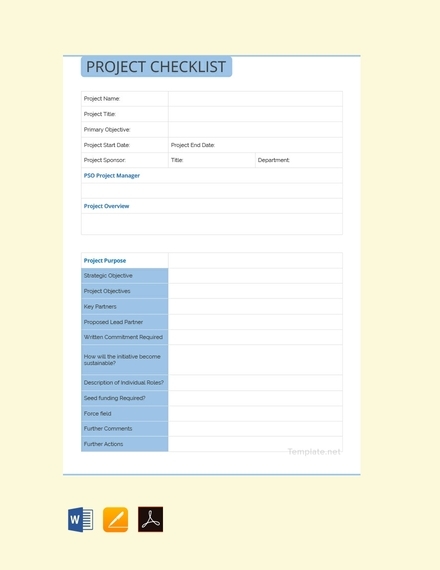 Here are some useful information for you to consider when finding a checklist template or making your own. 1. Heading/Title: Your checklist should have a heading or title on the top part of the page. A heading or title should indicate what the checklist will be used for e.g. To-Do Checklist, Daily Grocery Checklist, and so on. Having a heading or title reminds you how important it is to work on and complete the items listed. The heading/title should be written or printed with a clear and bold font so that you can immediately see it and be reminded of it. 2. 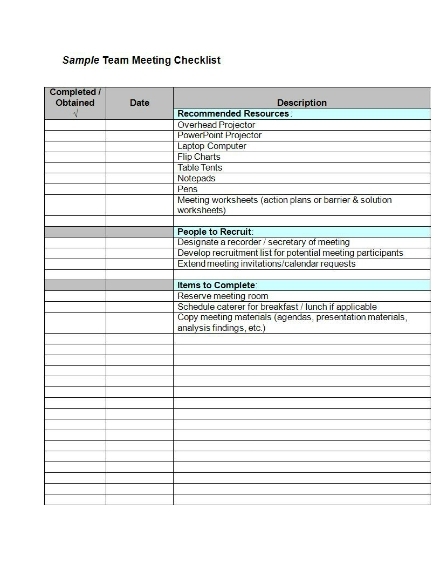 A table: As mentioned, a checklist is basically a table that contains an organized list of the tasks or activities needed to be done. 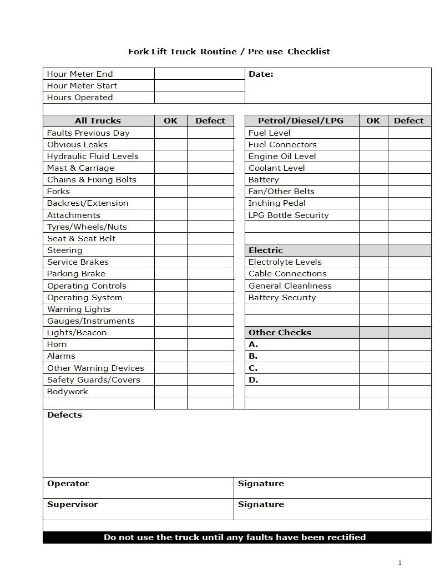 When making a checklist, it is important to include a sufficient number of rows and tables so that you can write down categories/levels which determine the items’ priority, importance, or status. Although there is a limit to how many rows or columns you can only include in one page, it must not prohibit you from adding more items to the list. 3. Time/Date/Duration: Most of the time a checklist has a specific deadline. 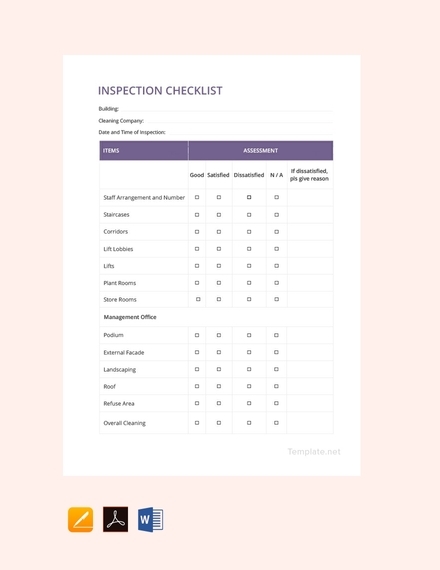 The items of your checklist should have a specified time or duration telling you when these should be done. For example: a task checklist is used either for daily or weekly, or long-term period planning. It is important to indicate the time frame in which the checklist will be used for in order to set better priorities and to help you keep track of your progress. 4. Appropriate labels: In order for a checklist to be efficient and effective it must have appropriate labels that categorize or identify what the items are for i.e. level of priority, status, etc. 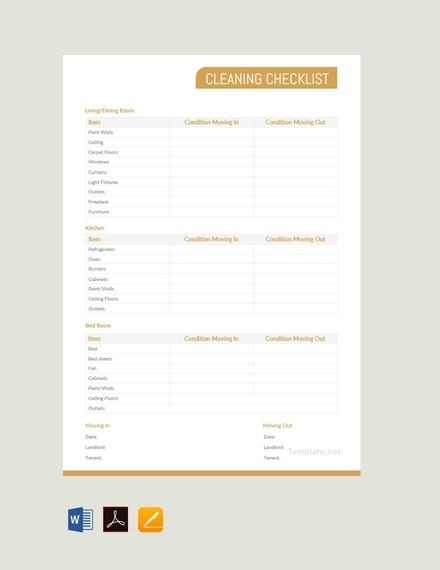 The labels on each column of your checklist should clearly specify what items should be listed below it to make sure you prioritize and organize your to-dos. The labels will help you have an organized checklist that you can easily understand when reviewing it. 1. Indicate heading/title for the checklist: As mentioned, a checklist should have a heading/title for identification purposes. A heading/title will tell you what the checklist is all about and what are items are included in the list. When using Microsoft Word, adding the heading/title is pretty easy; just type out your heading/title e.g. Grocery Checklist, Training Checklist, etc. on the top portion of the page and make sure to align it to the center. After that, use a font style and size that will make the heading/title visible and clear. 2. Insert columns: A checklist can have various categories or levels relating to what you will use it for or what you want to achieve. Thus, it is important to allot enough columns for such categories/levels in order to have an organized checklist. It is best to use a table when making this; to do that go to the Insert tab and click Table. After that, indicate how many columns and rows you wish to add to your checklist. 3. Add desired number of rows: As mentioned, you can simultaneously add the rows and columns on your table in Microsoft Word through the drop-down option. However, should you need more rows to list all the items on your checklist, you can manually input the number of rows you need by clicking Insert table found just below the drop-down menu. It will open a new window where you can manually choose or input the number of rows you would like to add. After that click OK to add it on the page. 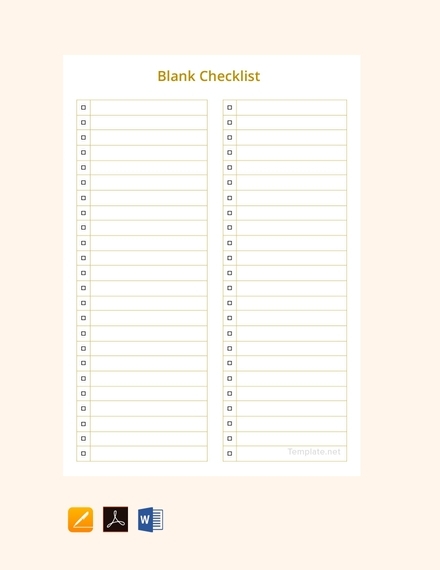 You may also see blank checklists. 4. Put appropriate labels on each column: Now that you have your columns and rows, it is time to add the labels for each column. It is important to add labels so that you know where to add remarks, note, etc. Since you are using a table as your checklist, you just have to click the column where you would like to add a particular label. However, you need to make sure you adjust the width and height for both columns and rows so that your labels and items fit. 5. Organize items: It is important to organize the items on your checklist so that you can easily get through them. 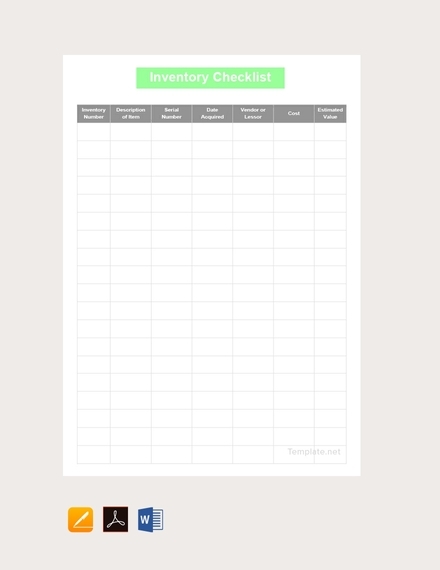 One tip is to arrange and organize the items on the checklist based on their importance or urgency. You can also organize it by thinking about the overall process or procedure or which will be done first so that the other can be done. Choose an organization system that you prefer e.g. ascending or descending order, etc. 6. Proofread and edit: Always check to see if what you have done for your checklist is perfect. Before you print it out, make sure that there are no errors like misspellings, grammatical errors, repetition, and so on. Check to see if you have all the categories and levels, and items all accounted for. After that, edit your checklist accordingly. Choose a heading/title that will motivate you more; when not used for corporate or professional purposes, a checklist can have a personalized heading/title. Specify the time or date when the checklist should be accomplished or submitted. You can add a graphic or illustration to your checklist to make it more interesting for you. Organization is key to a successful checklist. 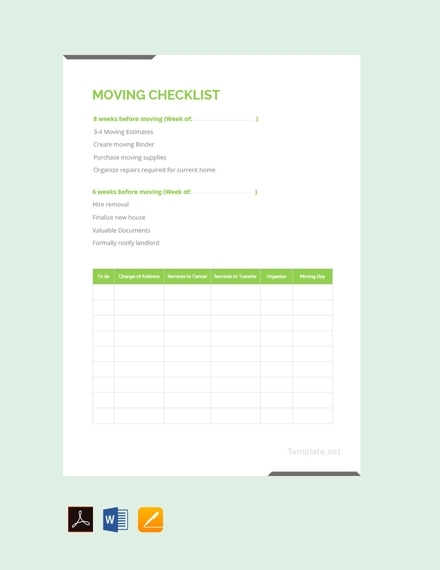 Arrange and organize the contents of your checklist to make it more efficient. Make sure you clearly add the labels on your checklist. Make sure you adjust the width and height of the columns and rows so that texts can fit properly. Write items briefly but clearly; if possible, use keywords. Always proofread and edit accordingly before printing and distribution. 1. Read-Do Checklist: When you need to outline the steps needed to successfully accomplish an activity or tasks you should use a read-do checklist. Just like a recipe or an organized guide or a list for directions for a procedure, a read-do checklist lists down items in a descending manner where items on top should be accomplished first before proceeding to another. 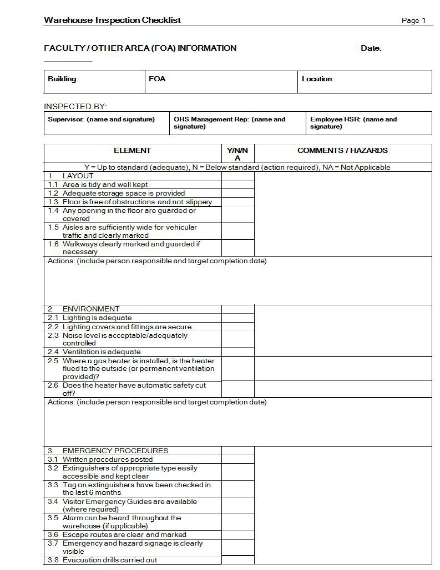 This means that items included on this checklist must be executed on a specific order in order to successfully complete it. 2. 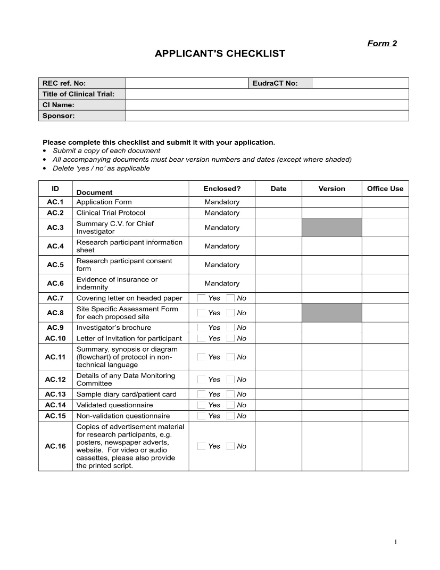 Do-Confirm Checklist: A do-confirm checklist does not necessarily follow specific directions or procedure or process; it offers more freedom in completing tasks. There are no rules and items are not listed in an organized manner. You can do a task/item that is more convenient for you at the moment before checking out something from your list. This checklist can also be used to confirm and make sure that no tasks are forgotten or overlooked. What is a checklist used for? 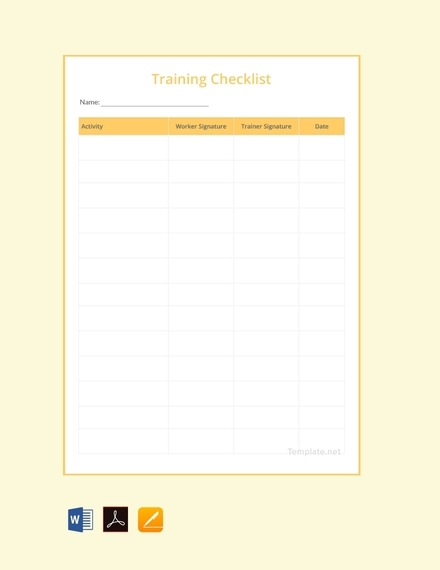 A checklist can be used for anything, but basically, it is used as a guide that helps you avoid failing to perform necessary steps or tasks to complete an activity. Aside from that, it helps you record and track your progress so that you know you are are going the right path. It also helps remind you of important things and tasks so that you do not forget about them. More importantly, a checklist is used for following necessary steps to make sure a task or activity is carried out perfectly and successfully. 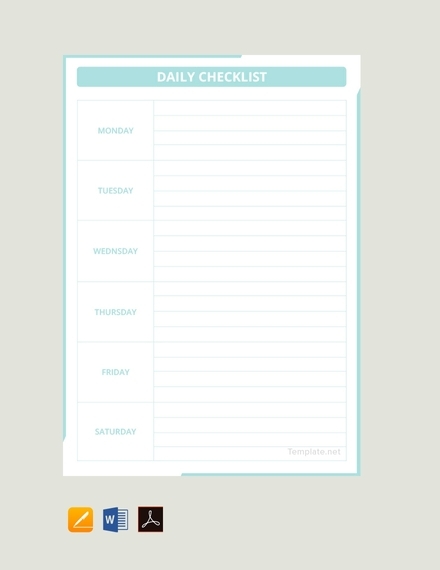 What is the difference between a to-do list and a checklist? A to-do list basically just lists down things you need to do without following a particular order. It just lists things or tasks you have to do to accomplish a certain goal or objective. On the other hand, a checklist is a stricter version. It tells all the necessary things/tasks that you need to check or complete for a certain a goal or objective. 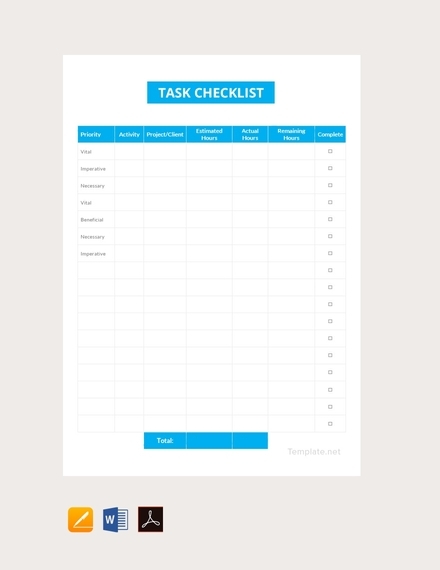 Since a checklist sometimes follows a particular step or process or procedure, things/tasks need to be done in a particular order so that the main task or goal can be completed. 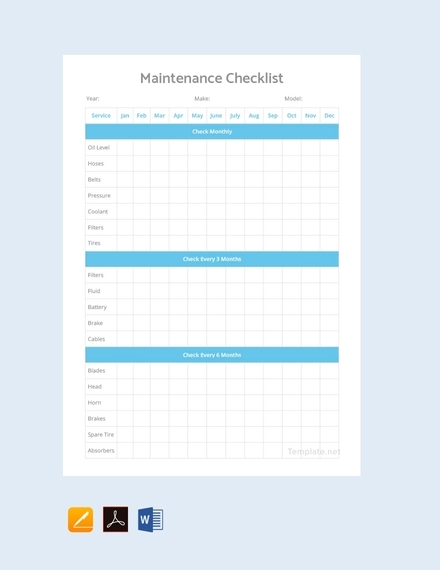 You may also see quality checklist examples. 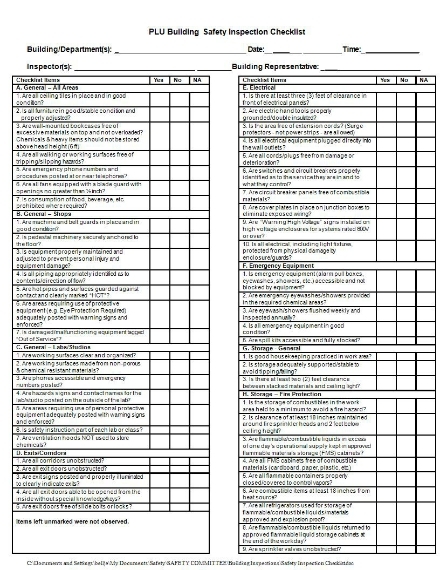 What are the benefits of using a checklist? It helps guarantee completeness in carrying out a task.